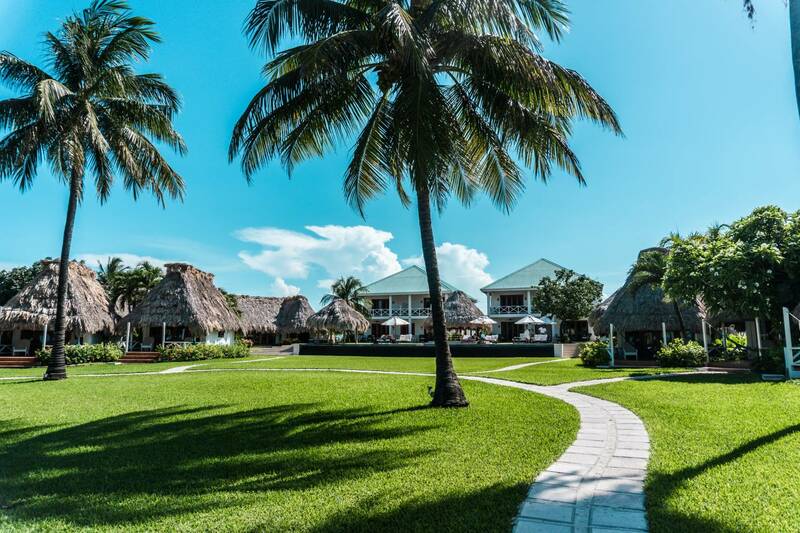 With a crystal clear turquoise ocean view, tropical luxe casitas, and 2 pristine pools with an ocean view, the Victoria House is currently the best luxury Belize resort on Ambergris Caye that you need to experience, my friends. 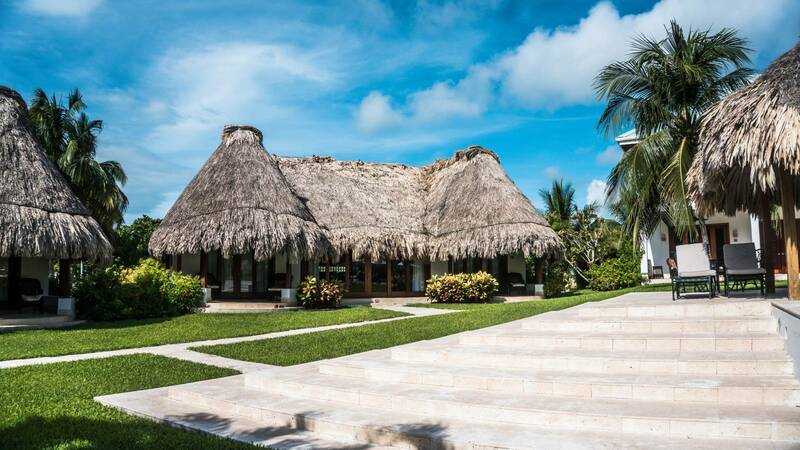 Personally, luxe boutique resorts hold a special place in my heart because they tend to be the most unique and unforgettable. The smaller resorts typically have the most amazing customer service, which is the case at the Victoria House Resort & Spa. 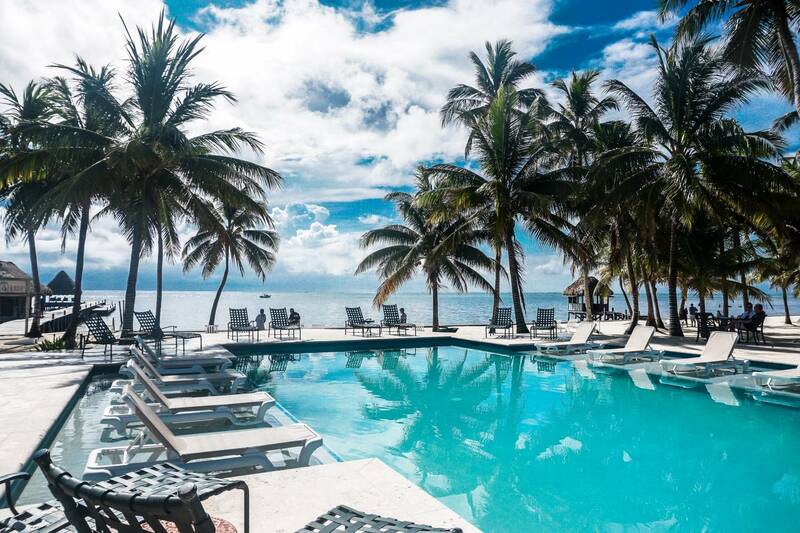 I stayed at the Victoria House Resort with my little sister for 3 nights during our trip to Ambergris Caye – the largest island of Belize. I can honestly say that our little casita truly felt like a home away from home. The attention to detail at this resort and spa is impeccable. Every single staff member is not only warm and friendly, but also hilarious and witty. I love the Belizeans humor. So refreshing. 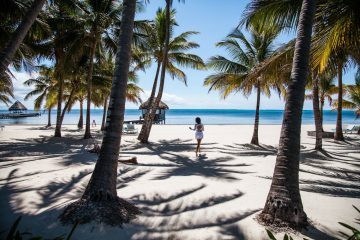 I can tell you about our unbelizeable experiences all day, but photos are what will really show you the vibe of our stay. So. 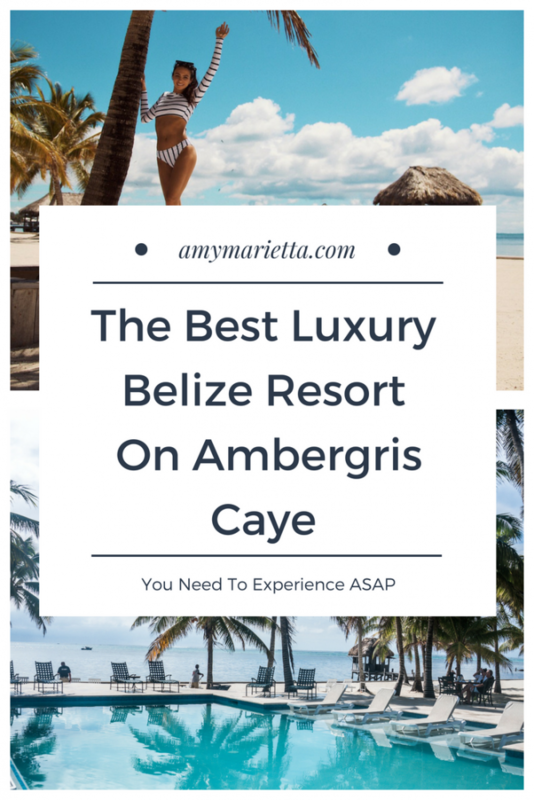 Here are some of my favorite photos I took below of the best luxury Belize resort on Ambergris Caye. I hope this inspires you to grab your passport and go because trust me, it’s worth it. A bedroom on each side with a kitchen and living room in the middle which is perfect if you love spending time together, but also love your space. I loved our casita because we had the perfect view of both pools and the ocean. Such a perfect paradise full of lush, green plants and vibrant flowers. Definitely easy on the eyes. 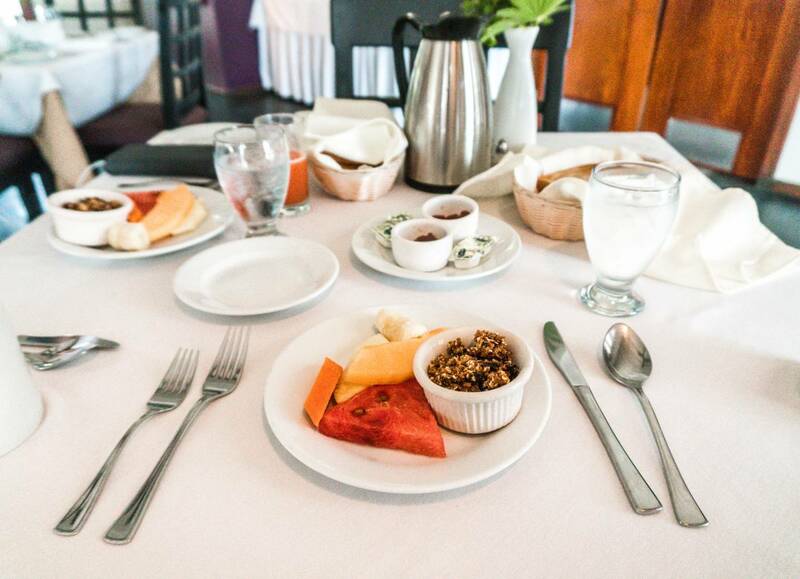 Complimentary breakfast at the Palmilla restaurant every morning. Complete with coffee, fresh juices, baked goods, home made granola, and more. There are two pools you can enjoy – the infinity pool and the other lounge pool. Both have a perfect view of the ocean. Even the boardwalk is perfectly combed and manicured. Victoria House takes great care of their white sand beach making sure it is pristine. No garbage to be found anywhere, no worrying about stepping on glass, just another relaxation zone with everything you need for a good time. 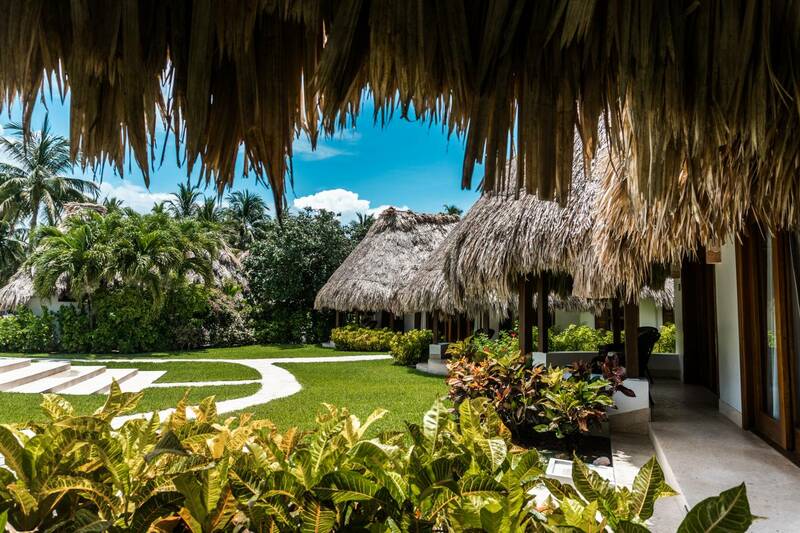 Lay in a hammock with a book, chill out in a lounge chair with a pina colada, or get a massage under a palapa. If lounging isn’t your thing, you can walk over to the dock and take out the stand up paddle boards or kayaks. There really is something for everyone here. 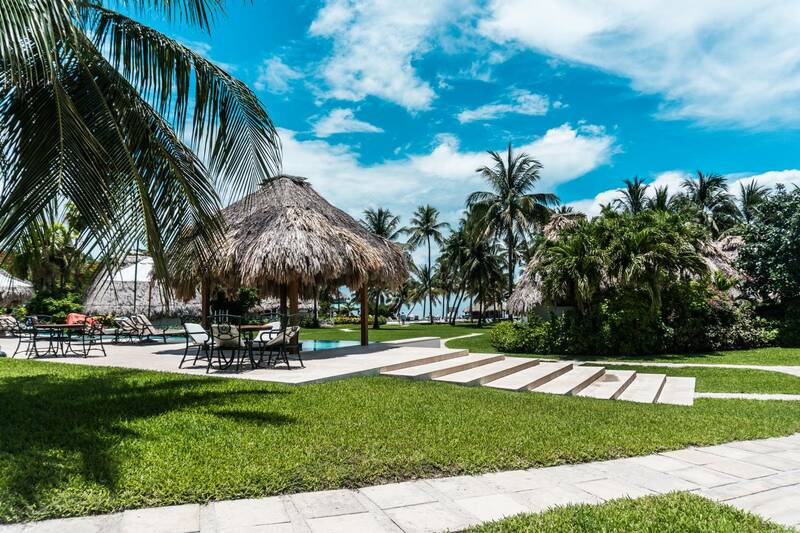 Victoria House Resort & Spa has 42 rooms, including private pool villas, luxurious suites, staterooms, and casitas. The property is so large that you really do have a lot of privacy and space. The chairs are spread out perfectly so you don’t have to worry about any privacy issues. Luxe white sheets are the best after a day of adventure am I right? A cozy bed is crucial, and this bed was spectacular. Two stop snorkel tour with stops at Hol Chan marine reserve and Shark Ray Alley. This was a bucket list adventure for me. I still can’t believe I swam with and touched a shark in the ocean. Wild. Unforgettable. 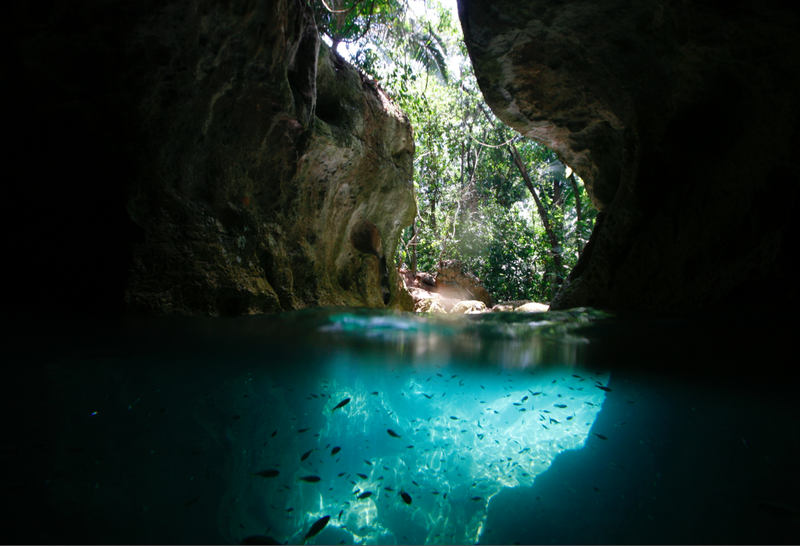 Explore Mayan Ruins, go cave tubing, or schedule any of the other activities the hotel offers, which you can see here. The 3500 square foot spa on-site. I didn’t have time to experience the spa, but I heard it is amazing! Next time when I have more time to relax I’ll definitely be checking that out. Rent a golf cart if you plan on venturing out and exploring the island. I rented one at the golf cart rental shop right outside the airport. Just turn right when you pick up your luggage and voila. Always say yes to a pina colada and fresh juices. I didn’t have one bad meal while in Ambergris Caye. Victoria House has an amazing breakfast menu, lunch, and dinner menu. The food is all as fresh as can be which I truly appreciate. For real though, I don’t even like cantaloupe, but their’s is so fresh, I honestly liked it. Weird right? Make sure to always wear bug spray. Mosquitoes are common, especially after it rains, so just make sure to be preventative. 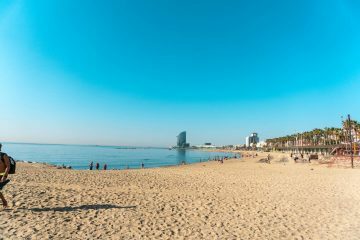 November to April is the most popular time to visit, but we went in May and it was perfect. Smaller crowds, but same luxuries and still perfect tropical weather. Ambergris Caye is only 25 miles long and about a mile wide. San Pedro town is the only town on the island. 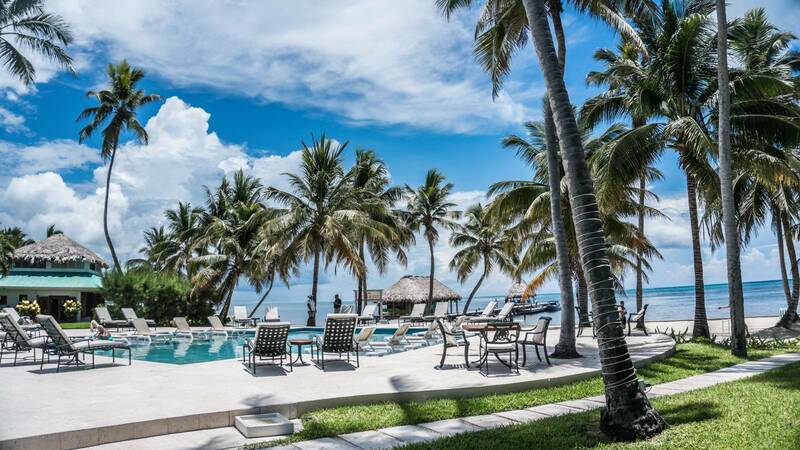 Leonardo DiCaprio bought a Belize island close to Ambergris Caye, called Blackadore Caye. 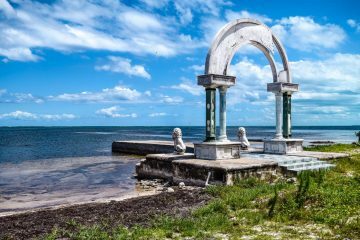 The language of Belize is English. The currency conversion is easy for Americans. Just divide by 2. So if it costs $100 Belizean dollars, that’s $50 US dollars. Try to not use any plastic straws or silverware. The island does recycle, but there is still a lot of plastic that makes it’s way to the ocean which kills sea life. Some restaurants are starting to use bamboo straws which is great. Don’t litter. Be respectful of the environment. Thank you Victoria House for an unforgettable experience! Cannot wait to return.